At a time of great tension in Europe, the last thing anybody would need is more tension. A unfortunate incident concering a cartoon character in a popular cartoon show on British TV has sparked outrage. That is the reason why Britain's Channel 5 TV Network pulled down a 'Fireman Sam cartoon' after it showed a character appearing to tread on a page from the Koran. The British TV channel has said it had no plans to air it on TV again after receiving backlash from Islamic faithfuls. They said it was a mistake. The cartoon character, called Elvis, slips on some paper on the floor of the fire station in the kids’ animation hit while carrying a tray of hot drinks and several sheets fly into the air, one of which looks to be covered with Arabic script, then Elvis now steps on the paper covered with the script that resembles texts from the Holy Koran. The episode, called Troubled Waters, was last shown on TV on June 28 and HIT Entertainment, which produced the cartoon, apologised “unreservedly” to viewers. The television station severed all ties with the cartoon creators. The firm which produces Bob the Builder, Pingu and Thomas the Tank Engine, said it had cut ties with the animation company responsible for the mistake. 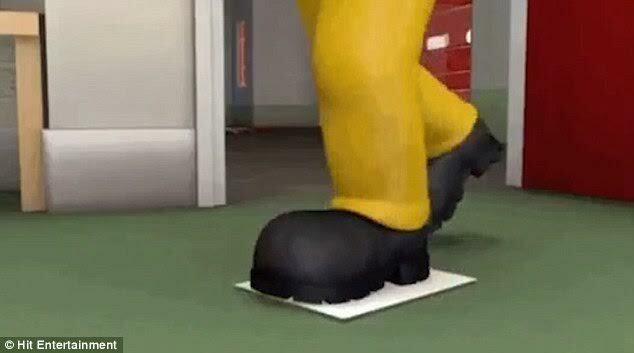 "It has been brought to our attention that in an episode of Fireman Sam an image of the Koran is briefly depicted. We will no longer be working with the animation studio responsible for this mistake. "In addition, we are taking immediate action to remove this episode from circulation and we are reviewing our content production procedures to ensure this never happens again." It is not entirely known whether the animation studio responsible, did it intentionally or not.